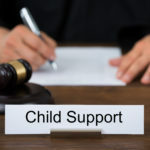 If one of the parents is voluntarily unemployed or not working as they should, the court will assign them the income to reflect the party’s earning potential in his or her profession. How do the courts calculate these potential earnings? Sometimes the court will impute an average income based on the parent’s current or former profession. Based on all the facts, the numbers can change and only your Lawyer and the courts can help you determine what is fair. Try using this simple calculator located on the njchildsupport.org page. Hofmann Law Firm, LLC is located in Princeton, NJ and serves clients in and around Mercer County, Middlesex County, Somerset County, Burlington County, Hunterdon County, Ocean County and Monmouth County. Hofmann Law Firm offers FREE Consultations and will help you get the help you need.